Photo taken while walking down Calle del Arco towards Templo La Merced. 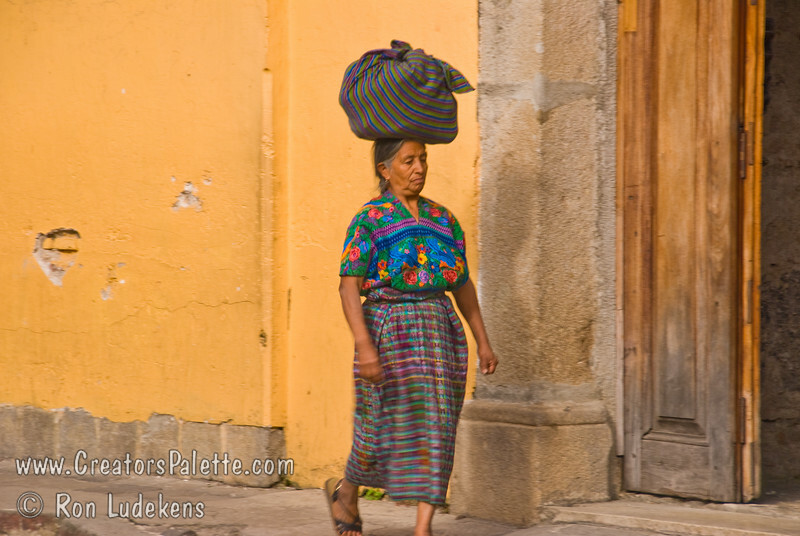 Guatemalan woman in traditional dress carrying a load on her head. Antigua Guatemala.